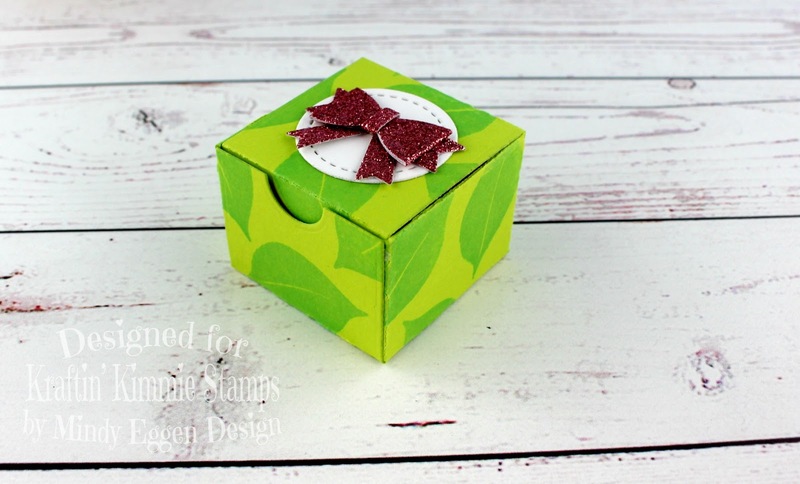 For this challenge you can make anything you wanna….except a card! 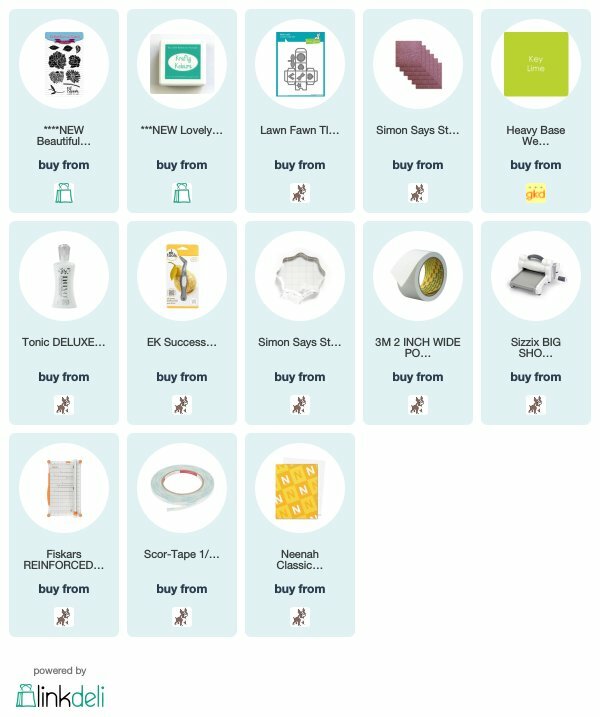 So that means bookmarks, gifts, scrapbook pages, journal art, planner pages, tags, boxes…pretty much anything that includes a krafty stamp!! 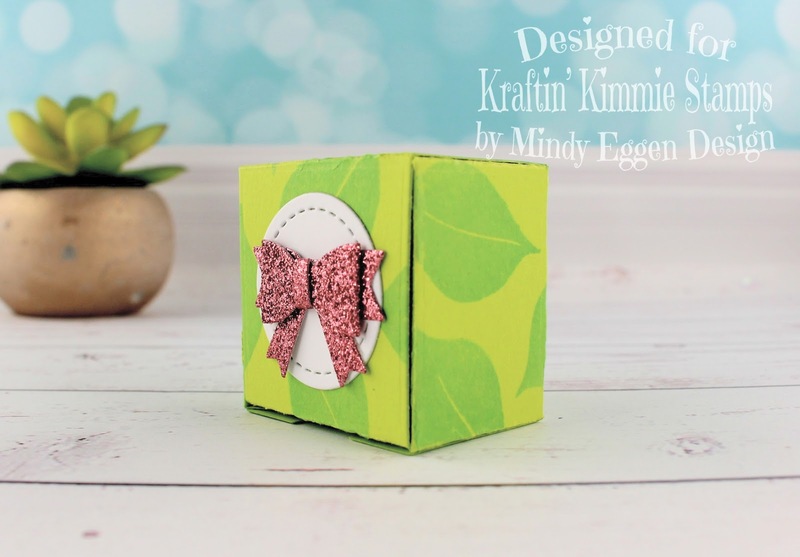 My project today is creating this adorable little gift box. The end of the school year is rolling in and these make great gifts for teachers. You can tuck little pieces of candy inside for a special treat! 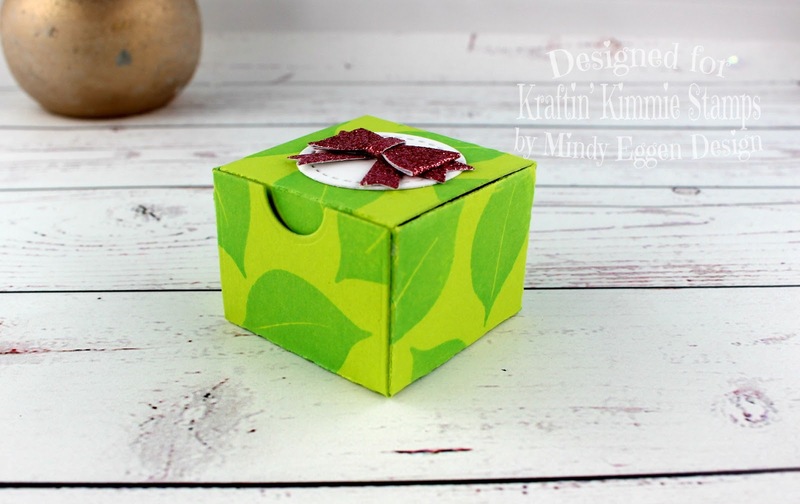 I used the Tiny Gift Box die from Lawn Fawn and die cut it from a piece of Key Lime cardstock. Before creasing my scored lines, I’m going to randomly stamp leaves all around using the Beautiful Blooms stamp set and Lovely Lagoon Ink from Kraftin Kimmie Stamps. To adhere the box together I’m using some Scor-tape. It has a nice strong hold and I won’t worry about my box coming apart. Soft, simple and this ink looks great on the Key Lime cardstock. You have until Tuesday, June 26th at midnight EST!